Happy Monday! Hope you all had a wonderful weekend.. I spent mine studying, so I hope you were out and about doing something more interesting than that. One of the most frequently asked questions I get is how I maintain my nails. 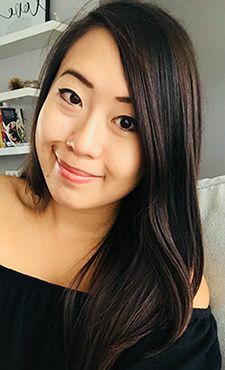 It's not like I have some secret regimen or anything, but since the holiday season is around the corner and we all want to look our best, here's a rundown of the products, tips, and tricks that I use on my nails each week prior to painting my tips! Sally Hansen Instant Cuticle Remover - I apply this to my cuticles once a week after a shower or after soaking for 5 minutes according to the directions on the bottle. Nubar Cuticle Oil - I apply this to my cuticles before bedtime 2 to 3 times per week. You could totally use something similar like Bio Oil too! The Body Shop Body Butter - Body butter is my 'lotion' of choice for my hands before I go to sleep. It's so moisturizing, keeping my hands soft & nails healthy. OPI Crystal Nail File - I like using crystal nail files because they are better for your nails. In the long run, your nails are less likely to split or chip, and the surface is smoother, imparting less damage to your nails while you file. Not to mention, it lasts way longer than your typical emery board! So that's about it - all my secrets are now out there! If you want me to discuss how I actually apply nail polish, let me know down below! Great products Andrea!!! Your nails always look fabulous and healthy. Thanks for sharing these. Have an awesome week my friend. Great tips, looks like great products! Oh these are great tips! 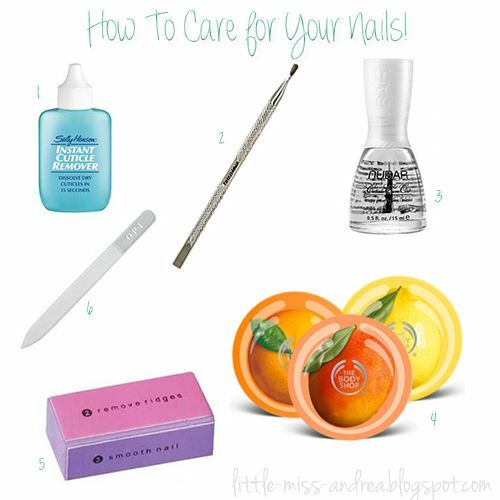 Great tips:D Definitely wanna try the Sally Hansen Instant Cuticle Remover!!!! Thanks for the fantastic tips. I need to pick up that Sally Hansen Cuticle thing. So need nail help. Glad to help - let me know how it goes!